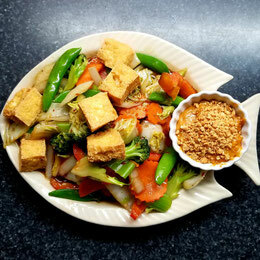 Fresh vegetables and tofu sautéed in oyster sauce and garlic. 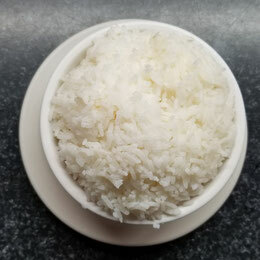 Served with a side of house peanut sauce. 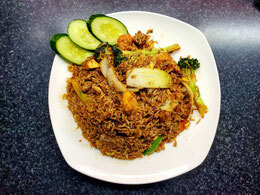 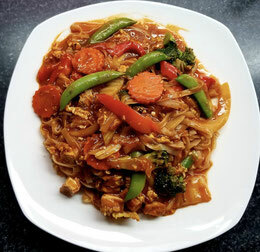 Rice noodles stir-fried with tofu, egg, broccoli, peppers, carrots, celery, snap peas and specied with fresh chillies. 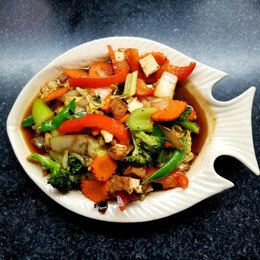 Gingered tofu sautéed with onions, black mushrooms, carrot, peppers, broccoli, celery, Nape cabbage and snap peas. 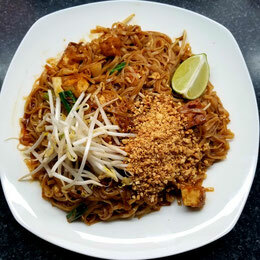 Rice noodles stir-fried with tofu, egg, green onions, fresh bean sprouts and ground peanuts, spiced with tamarind sauce and chillies. 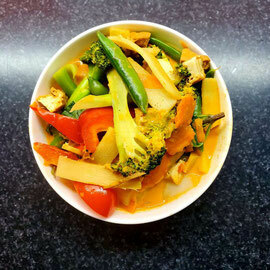 Coconut milk and Thai red curry with peppers, bamboo shoots, fresh vegetables, tofu. 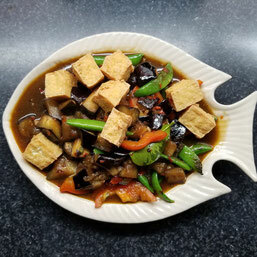 Eggplant sautéed in our home-made soy sauce with tofu, peppers and snap peas.